As an influential Sales Leader, you will drive toward expanding Fiserv market share through the execution of solutions-based, value-driven, sales activities with existing and prospective clients. Fiserv sales teams have the courage to do what's right, demonstrate focus and work ethic, and are results oriented. 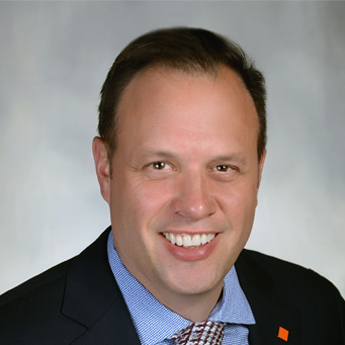 The first and most important value at Fiserv is to do the right thing, so that's why our teams are tasked with operating with integrity and ethics. Everything we do has its roots in our vision, mission and values. If this sounds like you, start the process to Find your Forward on the Global Sales team with Fiserv! Every candidate has their strengths, and at Fiserv, we want to match you to a career that allows you to put your best foot forward. Do you have the competencies outlined below? If so, you might be an excellent candidate for a Sales career at Fiserv. My favorite thing about working at Fiserv is the people. My onboarding experience was the best I have ever had! I felt welcomed and knew I could reach out to anyone for help. Fiserv knows how to take care of their associates. I love working with our clients and being part of such a large company. The benefits are great especially the Fiserv employee stock plan -- the stock performs! I have loved watching my clients grow as financial institutions as a result of utilizing our products and services. I cherish the relationships that I formed with those folks. They are not only my clients, but they are truly my friends. The reality of being here is so far over and beyond what my expectations were. I just feel empowered when I get out of bed every day. I didn't have a background in finance or banking or anything along these lines. But that really wasn't necessary. It's really an enterprise sales environment, which means that the responsibility is not solely on my shoulders to sell or to work the process from start to finish. Our work creates an environment where I’m a part of a think-tank to deliver solutions – that is just a fantastic experience. Fiserv is a FORTUNE 500 company with the Total Rewards package to match. Learn about the world-class benefits offered to all Global Sales associates at Fiserv. They provide comprehensive solutions to Fiserv’s credit union clients. Serving as the primary contact for the client’s executive and/ or senior level managers, you will be responsible for managing and growing the overall relationship with key decision makers and influencers at assigned clients to build customer loyalty and increase revenues. This position will use Fiserv solutions to improve client’s growth and profitability, utilizing various company resources to ensure client happiness, retention and increased profitability for Fiserv. Build and maintain effective relationships with the CEO/President and other key senior executive and operational decision makers. Understand the politics of client’s organization in order to appropriately influence decision makers. Understand the credit union’s business challenges, strategic objectives, competitive standing, and critical success factors to determine the best Fiserv solutions. Use Fiserv internal resources to build and maintain an effective relationship with the client. Develop and document an Account Plan at least annually that includes the integration of other Fiserv business divisions, establish a course of action to accomplish specific goals, and take the lead on the Account Plan with other business divisions. Promote client attendance at Fiserv sponsored events such as annual client conferences, regional client conferences and user group meetings. Develop a plan to actively secure timely contract renewals. Monitor client happiness, facilitate improvement as needed, and regularly stay in touch with client’s key stakeholders. Demonstrate industry trends and Fiserv competition knowledge to demonstrate Fiserv value proposition. Achieve annual sales quotas based on add-on products and services and renewals. Understand and promote Fiserv capabilities, solution sets and match those with client’s needs, ensuring that Fiserv increases wallet share with each client through compelling business unit cross sales and Fiserv Enterprise Solutions sales. Enterprise Solutions include Digital Bundle (such as Online Banking, Online BillPay, and Mobile platforms), Card Services, and EMV. Develop formal proposals for additional products & services that address the client’s needs. Who We Are: Credit Union Solutions at Fiserv provides integrated account processing solutions for more than one-third of the credit union marketplace, building a creative foundation for growth, as well as the technology needed to drive efficiency and deliver superior member service in a changing marketplace. We have a lot to consider, from identifying and adapting to changing regulations and mitigating risk to keeping pace with evolving technology and providing excellent member service. Credit unions’ goals aren’t new. How they achieve them is. With the right tools in place, Fiserv helps credit unions eliminate barriers to growth, realize efficiencies, ensure compliance, face risk issues head on and provide the superior service members deserve. Want to be a part of a team that effects change? 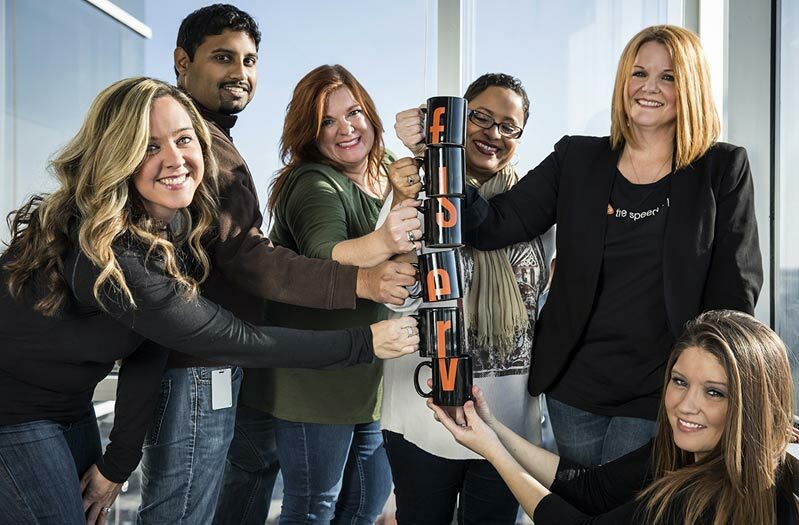 Join our team and see why Fiserv is one of the Most Admired Companies! Hear from Fiserv associates about life and culture on the team.